The Norrøna Trollveggen Gore-Tex Light Pro Jacket is the ultimate alpine shell for mountain adventurers looking to combine the fast and light with outstanding durability. 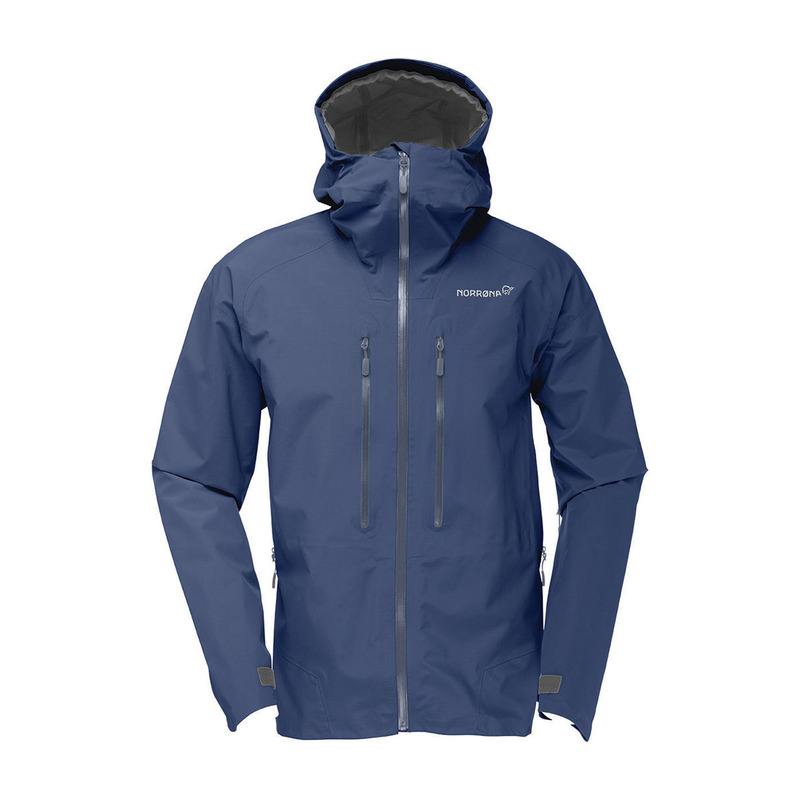 The Norrøna Trollveggen Gore-Tex Light Pro is a full 100g lighter than the original Trollveggen Gore-Tex Pro Jacket, adding up to improved packability and better freedom of movement while still maintaining exceptional storm protection properties. The simple design has everything you need to keep warm and dry during mountain adventures, including easy-access pockets, large underarm vents, a soft and comfortable liner, and a storm-savvy hood. Whether you’re ski touring, alpine climbing, mountaineering or hiking, the Trollveggen Gore-Tex Light Pro Jacket will have your back. Gore is a fabric manufacturer best known for their waterproof, breathable fabric Gore-Tex. The key to Gore-Tex is a membrane which provides the tech performance of the fabric; it is made of the same Teflon that is used to make your pots and pans non-stick. The real trick is making this super non-stick and delicate substance stick to the protective fabrics which turn it into the outdoor fabric we know and love. The bit which makes Gore-Tex special is this glueing process which is done in their top secret, big, blue machine. Only a few members of Gore’s staff know how this is done, it’s one of the biggest secrets in outdoor kit and has been the subject of many a nerdy forum post. Gore-Tex Pro is the thickest, heaviest and most durable of the Gore-Tex fabrics, designed for the most extreme environments. It features a tough outer shell and soft inner lining, bonded to the Gore-Tex membrane, which improves packability and weight while maintaining the durability and weather protection it’s famous for. The joins in the fabric are coated with a water-resistant tape, placed on the inside of the garment, which prevents water leaking through via the seams.